Invest in paid media when a product that is brand worthy. Facebook and users love video. Make video contextual to the type of interest targeting for higher relevance. 20% text rule is being reviewed and is in Alpha. Facebook studies have shown better CTR with no or near no text. Videos should have custom thumbnails if any text is in the video. Test new interests with low budget and with a CPA target. 900M users Month being the Largest growing app in the U.S in 2015. 60 Billion Messages a day compared to SMS 20 Billion a day. Video was a key trend this year. 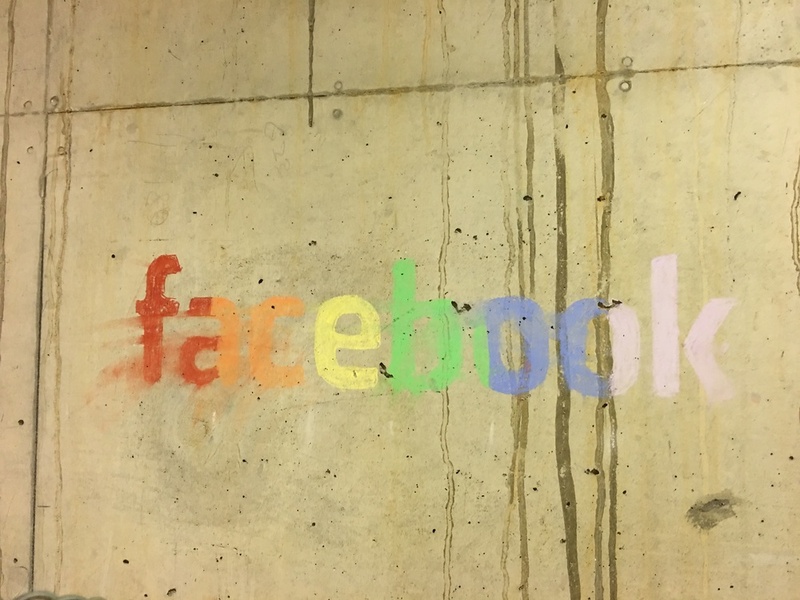 100M video views on Faceook per day. Facebook Live gets 10 times more comments and likes compared to Normal Facebook Video. David Gilbert Head of social gaming with a panel from the gaming industry. 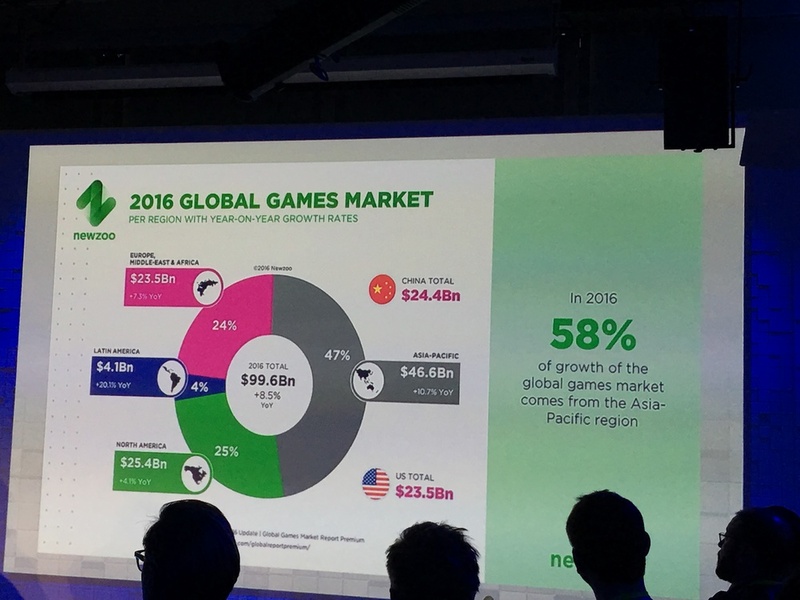 In a recent report by NewZoo, predicted that revenue for the games Industry will reach $99.6B in revenue this year. The report also reported that the EMEA games market is $23.5bn +7.3% growth YoY. Out of all Facebook time they are seeing 15%+ time is spend related to games. 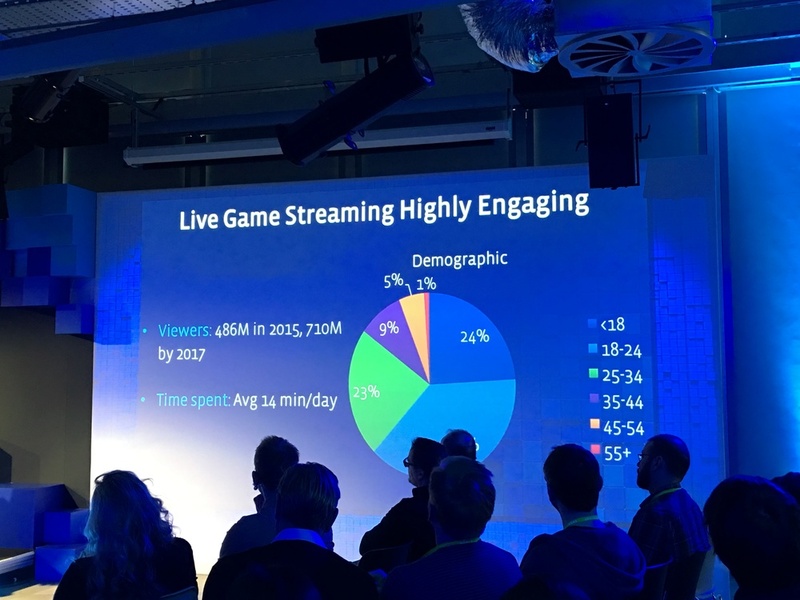 One of the priorities for the Facebook gaming team is about making it easy for content producers and brands to live stream with an open API so they can tap into the live streaming capability. An example of this is IGN with live streaming game play while a secondary camera is watching the commentators. Live streaming on Facebook will let audiences dictate play through comments voting which will effect in game activity. Thus will deliver new levels of interaction between viewer and game player / content provider. Live streaming is going to be big in 2017 from 486M viewers in 2015 to 710M by 2017. This has heavily been stimulated by the growth in E-sport. Gambling – Usually a market territory issue. 14M ads a month go through approval. Approval can take from 7 secs to 43 minutes at the 43mins mark 98% ads are reviewed. Average person now uses their mobile for 3 hours a day. Filling forms on mobile on average takes 38.5% longer to fill out then desktop. Case study – Lead Generation ads generating 64% higher conversation rate and -67% lower cost per conversation. This is solely down to the experience being so much smother then being sent out to a website that might not fit all phones. Best length for Facebook video ads are between 15-30 seconds long. Ensure that the video works with no sound as auto play videos are muted by default. Captions (subtitles) will be automatic soon and be an option in ads manager. Captions also helps bring diolgue to videos with no sound auto paying. 3 second audition, to stop people on the newsfeed before they across past. Best performing video content has progression in the 3 X (5 second) stages. Beginning, middle and end. 360 videos are starting to really take off and people are really emercing themselves into these 360 environments and experiences. Further depth then flat videos. Canvas – An ad unit which loads In the background for quick opening. The ad unit is an emercive visual unit with images, video and interactive content with tilt to see more content, caroucel slideshows which can showcase more attributes of the product or service. This unit can click out to website for purchase but will also be able to drive app downloads (soon). Slideshow – This unit can be used when video is not an option. Also good for counties which have low internet speeds. The slideshow plays automaticity on the newsfeed playing like a video. Video creative tip – Make the content related to the interests used in targeting. It can be the same video sequence but a slight change the imagery from Music to sports to TV show. This can be done to test which audience is morel likely to resonate with the brand message. Short term usually one campaign. This study is not flexible and cannot be changed once live. Long term 3 months+ it can be done over a longer period of time so normal campaigns can be ran and changed when they need to be. The insights for this campaign are also shared in real-time so the data can show the peaks and trofs of performance. How it works is Facebook will hold a sample group 50% for the short term and long term The hold group drops to 25% – 5%. The reason why it’s so high for short term is that Facebook needs to ensure the results are significant enough to say that there was a considerable change in user purchase behaviour when seeing or clicking on a Facebook ad.